Forty (40) Guys and Gals gathered at Quail West and Grey Oaks Golf and Country Clubs on Monday and Tuesday, October 29th and 30th, for the annual “Battle of the Sexes”. It was Grey Oaks’ first “Battle” and both days were loads of fun as the teams battled a tough 18 holes under the direction of Captains Nancy Lopez and Chris DiMarco. The ladies were the defending champions at Quail West. Both teams battled it out with the Guys taking the title from the Gals (Quail West) and the Grey Oaks ladies defeating the Guys. 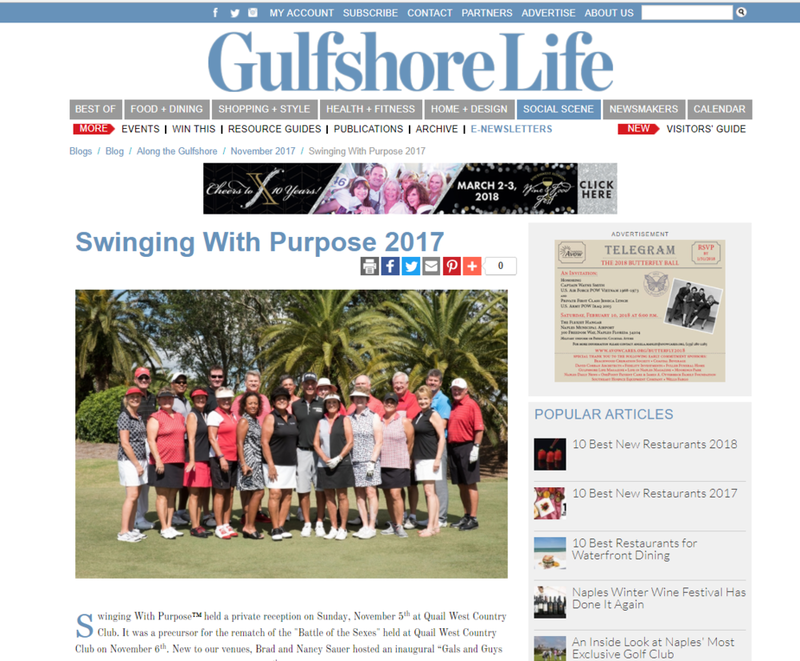 It was an even greater day for the organizations who are the beneficiaries of the fund-raising initiatives of Swinging With Purpose™. These carefully selected beneficiaries provide essential services to the women, girls and children in our community. As you may know, the “Battle of the Sexes” is our year end fundraiser. Through the year’s combined fundraising initiatives, we’ve had an amazing 2018 and we will be selecting the 2019 beneficiaries by November 15th. We are proud to announce that we will fulfill $170K+ in grants to deserving organizations serving women, girls and children in our community. This doesn’t happen without the support of the Naples golfing community! On behalf of our beneficiaries, we say “thank you, thank you”! Remember to mark your calendars for May 5th, 2019 for the second annual Liberty Mutual Invitational benefitting SWP here at Quail West. We will open registrations on the website in January. We encourage early registration as we always have a full field. 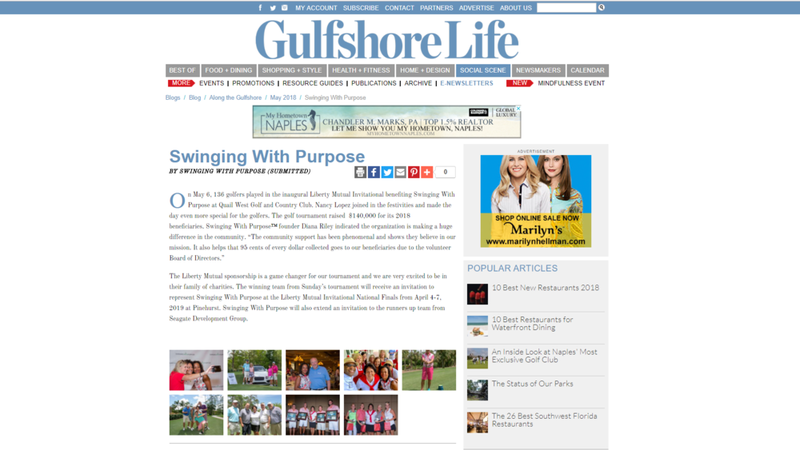 Until we meet again, please keep “swinging with purpose™”.